Saturdays are the perfect time to visit the TwispWorks campus! Visit with working artists, tour studios and shop for unique local goods. 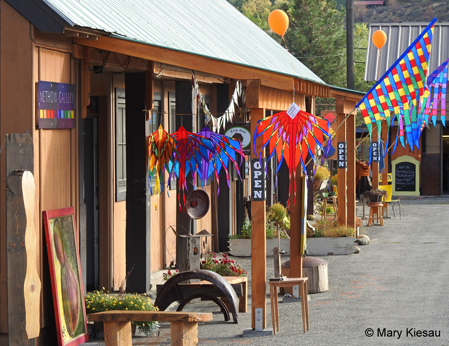 Attend a workshop or visit the Methow Valley Interpretive Center. Tour the Native Plant Demonstration and Natural Dye Gardens. Or just relax with a beer at the OSB Taproom or a picnic lunch from FORK on the lawn of the Plaza@TwispWorks. Visit TwispWorks.org for a complete calendar of classes and events happening on the campus.